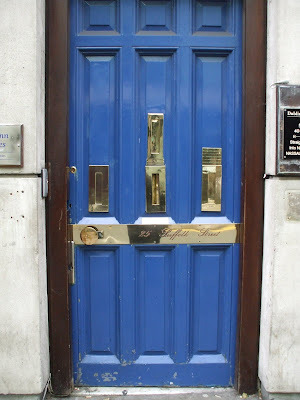 I've heard different stories, more or less accurate about Dublin Doors. Some say that when Ireland was still under British "supervision" and the Queen died ( Queen Victoria or Elizabeth I ) the Dubliners were ordered to colour the doors of their houses in black to mourn. As a sign of rebellion against the British, they coloured them in the most diverse and bright colours. Other people say that the doors were painted by Irish wives, so that their husbands couldn't miss the entrance of their own house. Whatever the historic truth, they belong to Irish Landmarks. Which do you think it's the true one ?